If you have had 2-3 miscarriages in a row, the medical name for this is “recurrent miscarriage”. If you have recurrent miscarriage, your family practitioner or midwife might refer you to see an obstetrician/gynecologist in order to find out why you are having more than one miscarriage. While it can be disheartening, it should be good known that, even after having two miscarriages in a row, you have a good chance of going on to have a normal pregnancy that eventually leads to a healthy, happy baby. How many women have miscarriages? The chances of having a miscarriage can be as high as forty percent. Almost 1 percent of all women will have more than 2-3 miscarriages in a row. While having this many pregnancy losses can be frustrating, the worst part is that, most of the time, the doctor will be unable to tell you why this has occurred. There are certain things that can result in recurrent miscarriages and some of these things can involve something you can control in the future. Many women who have recurrent miscarriage want to know what is going on and if there is anything they can do to keep this from happening again. Even if no cause is found for the recurrent miscarriage, you may still go on to have a healthy baby the next time around. Even so, it is important to know the possible reasons why you are having 2 miscarriages in a row as there may be a cause that can be treated that will lead to a healthy pregnancy if you decide to try again. There can be a hormonal problem such as is seen in gynecological disease like polycystic ovarian syndrome, a condition where there are many cysts on the ovaries, leading to an increased risk of recurrent miscarriage. Having bacterial vaginosis, which is when you have a bacterial infection of the vaginal tissues. 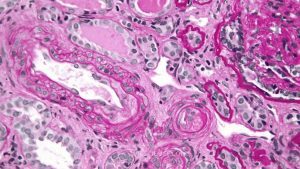 It is associated with recurrent miscarriages. Having a genetic problem. This means that either the mother or father has a chromosomal abnormality that leads to recurrent miscarriages. The chances of this are 2-5 percent of couples. Having thrombophilia, a condition where there are too many platelets in the system and your chances of having a blood clot is higher than average as is your chances of having a miscarriage. Having antiphospholipid syndrome (APS), which also called Hughes syndrome. APS occurs in 15-20 percent of cases of recurrent miscarriage. There Is also a risk of blood clots in and outside of the pregnancy. Increased age. Women over the age of 35 years have an increased risk of having a miscarriage. Men over the age of 40 also can yield a pregnancy that ends in miscarriage. Having more than one previous miscarriage increases the odds that your next pregnancy will also end in miscarriage. Remember that these are uncommon conditions and that most of the time, no cause can be found as to why you are having recurrent miscarriage. Testing for antiphospholipid syndrome—this is a test that looks for antibodies to phospholipids in your system. Often it takes more than one test to see if this is the problem or not. If the test shows antiphospholipid syndrome, there are things you can do that can prevent a future miscarriage. Testing for chromosomal abnormalities—this is also known as karyotyping. This is when both the man and the woman is tested to see if they have any genetic cause for the disease. If this test shows a problem, a genetic counselor may be required, who will help you decide whether or not you will have a healthy baby in the future. Testing for chromosome problems in the fetus—this means testing the fetal tissue for genetic testing rather than testing each parent. Testing for infection—if an infection is detected and treated, you should have a normal pregnancy the next time around. 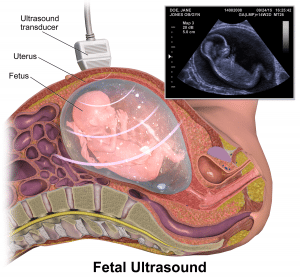 Ultrasound testing—in this case, the ultrasound is looking for abnormalities in the size or shape of the uterus. Some uterine abnormalities can be surgically managed so that you can have a normal pregnancy in the future. An ultrasound can also diagnose a shortening or weakness of the cervix as a cause of recurrent miscarriage. If this is the case, you may have to have a uterine cerclage during your next pregnancy, which will keep the cervix from dilating prematurely. If no known cause can be found as to why you have had 2-3 miscarriages in a row, you have a decent chance of having a healthy baby the next time around. You can be checked out by an early pregnancy unit team (EPU team), which will provide close care for you once you become pregnant again. About 75 percent of women with recurrent pregnancies that are unable to be explained will go on to have a healthy pregnancy in the future. If the problem is something related to chromosomal abnormalities, your chances of having a healthy pregnancy the next time around depends on what type of chromosomal abnormality is found. Some chromosome abnormalities don’t show up in every pregnancy so there is every reason to suspect that a normal pregnancy is in the future. You just need to continue to try again. Remember that some causes of recurrent miscarriage are preventable the next time you try to become pregnant. 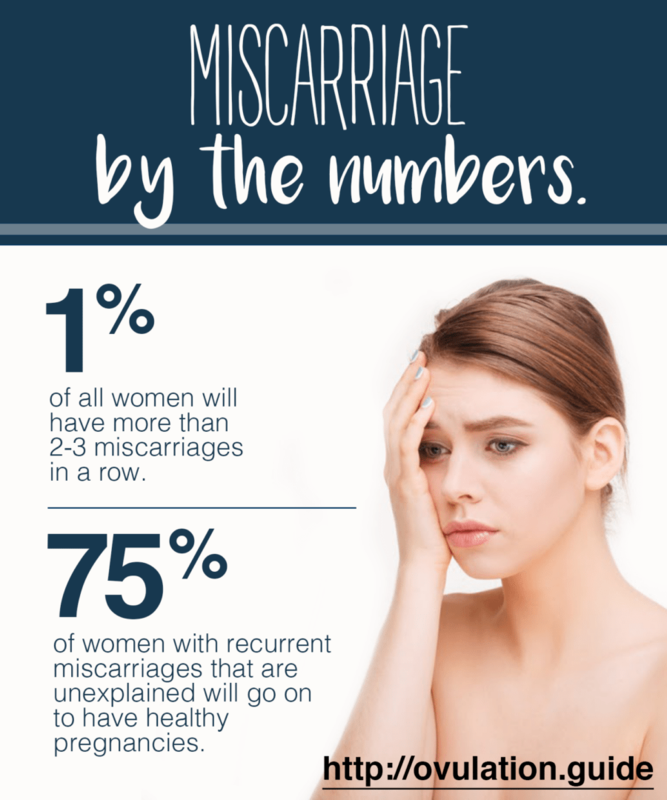 This is why you should see an OB/GYN doctor, who is familiar with recurrent miscarriages and who will be able to find out why you are having so many miscarriages in a row and may be able to treat some of these causes of recurrent miscarriage. If you have had 2-3 miscarriages in a row, you may wish to join a forum in which other women have had similar experiences. There you can find support for your problem and can meet up electronically with other women who have suffered from the same problem and can provide you with tips for a healthy pregnancy the next time or can simply offer support and compassion for what you are going through.